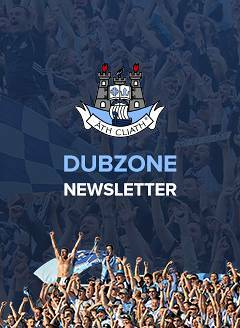 Dublin footballers Cormac Costello and Con O'Callaghan both played highly influential roles for their respective clubs in Dublin SFC2 wins on Sunday in the double-header at O'Toole Park. In the opening SFC2 Group 3 clash Costello tallied 1-8 (0-6f) as Whitehall Colmcille's defeated Nh Olaf 2-13 to 1-13 in a frenetic battle. Playing into the strong wind it was Olaf's who made the better start and two points in-a-row, including one free, from Tom Keane had the Sandyford side 0-4 to 0-1 ahead inside ten minutes. But Whitehall eventually settled with points from John Bridgeman, Eoghan O'Donnell, a superb Costello effort from 35 metres with the outside of his right boot, a second Bridgeman score before Keith Campbell's effort propelled the northsiders into a 0-6 to 0-4 lead after 20 minutes. By the interval the sides were level, 0-8 each, with wind advantage to come for Olaf's. Costello converted two frees early in the second half before his side struck for their first goal when the Dublin forward sent in an inviting curling free to the danger area from where Lee Gannon got the vital flick on to send the ball to the net. Olaf's response was immediate and clinical when Tom Keane kept the ball on the deck to beat one defender before sliding the ball low to the net to reduce the deficit to one point, 1-10 to 1-9, with 20 minutes remaining. The advantage swung back to Whitehall when Costello raced through on goal to fist a point and followed up two minutes late with a goal to push his side 2-11 to 1-9 clear. Olaf's battled to the finish and squandered a few point-scoring opportunities in their quest for goal as Tom Keane, who tallied 1-5 (0-2f) in total, added two points from play while Costello was on the mark with a brace of frees to see his side to victory. In the second game at O'Toole Park Cuala impressed in their 2-16 to 0-9 SFC2 Group 1 victory over Fingallians. 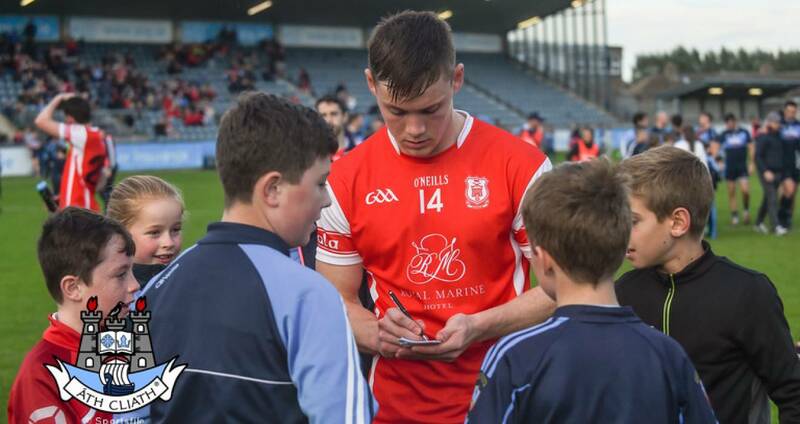 Niall O'Callaghan got Cuala's first half goal when he took a pass from older brother Con before charging through on goal and cleverly rounding the keeper before finishing to the net. On the start to the second half Con O'Callaghan, who scored 0-5 (0-1f) overall, took the game by the scruff to kick two excellent points. Keating added a third as Cuala began to move up a gear. The Dalkey men were 1-11 to 0-6 clear when Fingallians were presented with a goal opportunity but Staunton's effort clipped the outside of the post. The sides were level, 0-5 each at half-time, but through Scully and the O'Gara brothers, Eoghan and Killian, Synger improved in the second period. Comac Howley kicked 1-5 and Stephen Harford struck two goals as Round Tower Lusk defeated St Pat's of Palmerstown 4-18 to 0-6 in their SFC2 Group 3 clash in St Margaret's.